I shared this verse with a member of our congregation and two other directors from the social services ministry of Cochabamba. Right before we went into a hospital room to pray last rites with a teenage girl. God is at work to put things right. These three women who work selflessly for the well-being of the most neglected in society need to know that this is precisely God´s business so they do not lose heart in the face of so much need and injustice. Our world needs to know this as we read news that appears to indicate the contrary, with local catastrophes and global crises. Families need to know this as we worry about what will happen tomorrow. I need to know this, as I struggle with aging and kids leaving home and congregation members struggling to grasp this very truth. God is in the business of putting things right. This is what it means to say God is righteousness. This is what it means to preach that we have been justified by the death and resurrection of Jesus. This is what we mean when we proclaim Jesus is Lord and will come again. 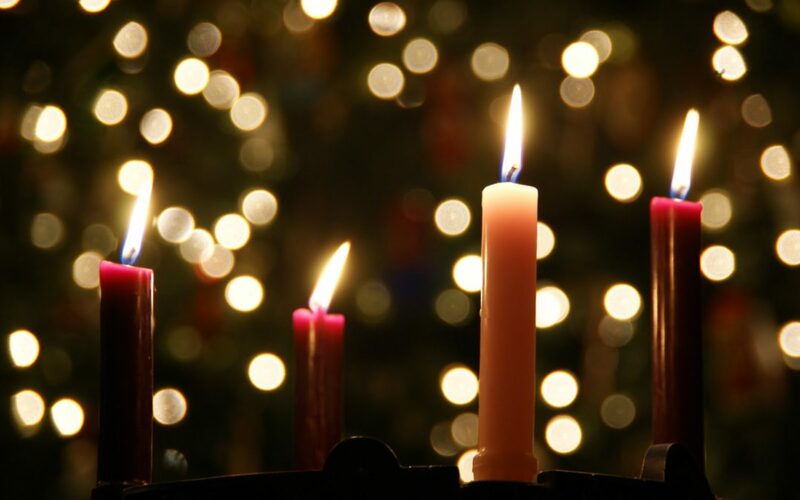 This is what we prepare for in Advent – God’s putting all things right in Jesus. May we be confident in God’s work, even while we wait. May we have courage to share, serve, and love. And may we not lose heart, nor become weary or indifferent, being assured that our labor in God’s business is not in vain. He will do it. He is able. He’s got this – and her and you and me. 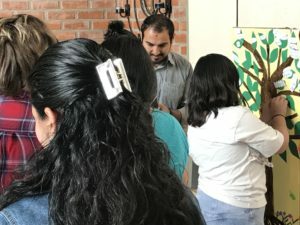 We’d like you to get to know Messy Church – Bolivian Style. 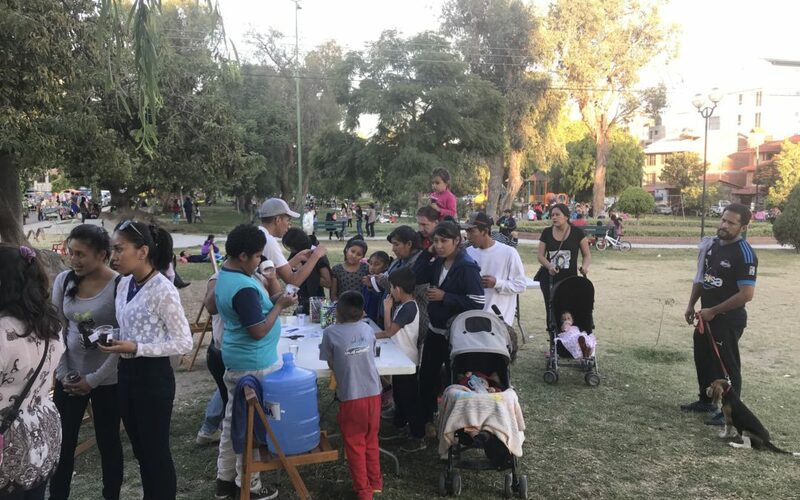 La Trinidad goes to our neighborhood park and shares the Gospel with families one Sunday afternoon a month. The idea is to get the whole family engaged, get our hands dirty, and be the church. We call it Iglesia Abierta – Open Church. A few weeks ago the lesson was on how to tend to the family – using the idea of how we care for plants. 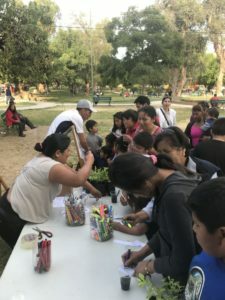 Each family planted a seed, then at the next table they were given a plant and two pieces of paper for listing the names of or drawing each person of the family on the plant. They got to keep the plant. And we got to keep their names with the promise that we would be praying for them each week at La Trinidad. It was a fantastic afternoon, and we were able to pray with each of the families there in the park. The best part was last Sunday at La Trinidad. We handed out the names and prayed for each person in small groups. Then those names were posted on a prayer tree. The whole congregation was involved! Our prayer is that these families will come to know the Lord and grow with us at La Trinidad. Iglesia Abierta was started, adapted, and is run by lay leaders in the congregations, down to the lessons and activities themselves. This is how God is moving at La Trinidad! We ask you to pray for the Iglesia Abierta ministry at La Trinidad and for our next activity on June 3. Please pray with us that families will be transformed by the Gospel. As of yet, no family has visited us on a Sunday morning, but they are starting to look for us in the park on Sunday afternoons! Please pray that we would know how God is leading us to also be transformed to better minister to our neighborhood.